Card Text: Creatures you control have "Tap: Add one mana of any color to your mana pool." Oracle Text: Creatures you control have "Tap: Add one mana of any color." 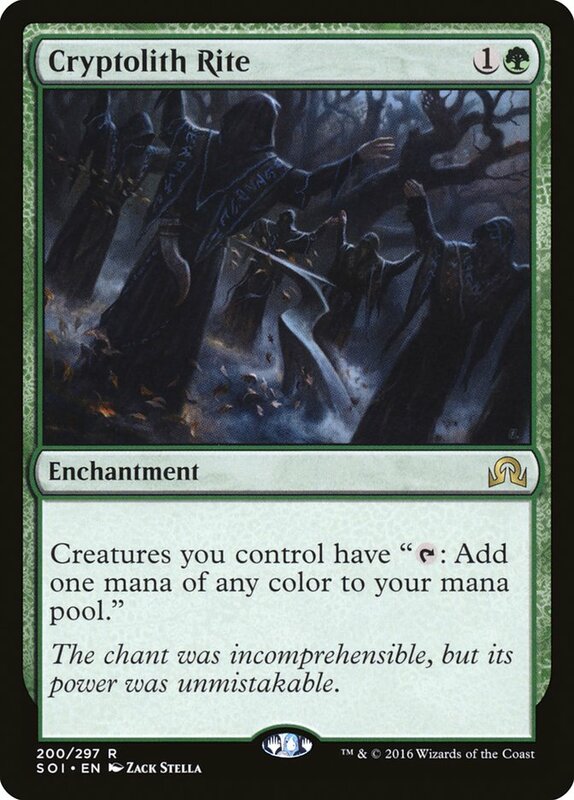 Flavor Text: The chant was incomprehensible, but its power was unmistakable.